06 Chrysler Grand Voyager 2.8 CRD Auto. engine :2.8 CRD, engine code: . Hello, the part has been removed from: 2006 Chrysler Grand Voyager . Right hand drive vehicle . PA60-80, KA28, KA27, AB,EH ,BT, Republic of ireland. 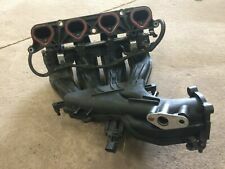 CHRYSLER PT CRUISER 2000-2005 2.0 MANIFOLD COMPLETE WITH FUEL INJECTORS AND RAIL IN GOOD WORKING ORDER. ENGINE - 2.5 TD DIESEL VM425. REMOVED FROM - CHRYSLER VOYAGER LE MPV. IT LISTS RANGES OF VEHICLES A PART MAY FIT, HOWEVER IT DOES NOT TAKE INTO ACCOUNT ENGINE CODES, TRANSMISSION, TRIM/FACELIFT MODELS ETC. Part Number: 04891573AB. 2.4L (2429cc) Petrol 144 Bhp 5 Door Hatchback 4 Speed Auto RHD Air Con: Yes. We are Breaking a 2005 Chrysler PT Cruiser Limited (Pre-facelift). Wing Mirror Type. Removed from the car below but may fit other models/years. 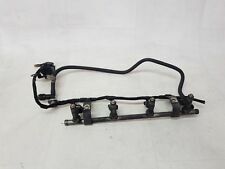 Item Specifics:2000-2008 - MK1 - 2.0 PETROL - FUEL INJECTION RAIL - WITH INJECTORS. Model:PT CRUISER. PT CRUISER 2000 -2008 Mk 1. Part:Injection Rail. This Injection Rail was removed from a2000 car and has been fully inspected. CHRYSLER VOYAGER LX ( 2001 - 2007 ), MK 4 FACELIFT (2006). DIESEL PUMP / INJECTOR PUMP. 2.8 DIESEL AUTOMATIC. PART NUMBER : 2 445 110 030. NO : MT 06 BPF. DODGE NITRO. CHRYSLER GRAND VOYAGER. JEEP WRANGLER. INJECTION PIPES. NOZZLE STAMPING NUMBER DN0SD301. NEW NOZZLES. CHRYSLER CHEROKEE. FIT to BOSCH INJECTORS KCA 17S 70 KCA 30S 4 1. D iesel injection pipes removed from a 2000 grand voyager 2.5td. Any problem will be resolved regarding our support team. We always will do the best for both sides to be happy! IN DOUBT WHETHER IT WILL FIT?. If the item is used, we are unable to accept the goods back. A6420702695;. CHRYSLER 300C Injection Rail. 300C 2006 -2014 3.0 Diesel Engine, Code EXL (CRD). 2007 CHRYSLER 300C which we are dismantling. The Part imaged and described is th eactual part you will recieve. A6420103045;. CHRYSLER 300C Injector Pump (High Pressure). 300C 2006 -2014 3.0 Diesel Engine, Code EXL (CRD). 2007 CHRYSLER 300C which we are dismantling. The Part imaged and described is th eactual part you will recieve. 0445214023 INJECTION RAIL TUBE CHRYSLER VOYAGER < span class = notranslate ' > 2.5 < span class = notranslate ' > Diesel 5 m 5 DRS 104KW (2001) PARTS USED. MPN 0445214023. Product range: Fuel system/fuel injection Tube/Comon rail. CHRYSLER # 4669011. Manufacturer Part Number CHRYSLER # 4669011. NEW FUEL INJECTOR. BOSCH # 0-280-150-965. Fuel system Fuel induction Fuel injection Injector Auto Tran. Eagle Chrysler. Other Part Number BOSCH # 0-280-150-965. Chrysler Voyager 2.5TD 85-87kw /116-118bhp. Diesel fuel pump repair kit / seals kit. Dodge Caravan 2.5TD 85-87kw /116-118bhp. for diesel fuel pump rebuilding. BOSCH number2 467 010 003. REPAIR KIT DOES NOT INCLUDE SHAFT SEAL. All our parts are genuine! TB#3-007-181015. Reference OE/OEM Number: 0445214149, A6110780449, 0281002494, 0281002672, A0061533328. Part Number: A6460701195. The article can usually be installed differently from the stated removal position if the part number is the same. Fast shipping the same day if you pay by 2 pm All parts with functional warranty 30 days return policy on all parts without ifs and buts. 51123 Chrysler Voyager IV 2.5 CRD RG, RS injection bar bar 0445214023. Part number 0445214023. Model IV Voyager 2.5 CRD. Modell Voyager IV 2.5 CRD. CHRYSLER VOYAGER IV. Type RG, RS. An original spare part is new or second-hand always 100% suitable for your vehicle. 04891345AA 04669768 Fuel injector rail (injectors)(Fuel distributor) Chrysler PT Cruiser. Type of fuel: Petrol. Engine capacity: 2000. Chrysler PT Cruiser Einspritzleiste (Düsen). Year: 2002. Model: PT Cruiser. Category veiocolo: MINIVAN. Product range: Fuel system/fuel injection Tube/Comon rail. Power: Diesel. PHONE 0429 88 88 32. 0280155703 5277739 Fuel injector rail (injectors)(Fuel distributor) Chrysler Voyager. Type of fuel: Petrol. Engine capacity: 2400. Chrysler Voyager Einspritzleiste (Düsen). Year: 1999. Model: Voyager. PART NUMBER : 04891575AA. Manufacturer Part Number 04891575AA. IT IS BEEN REMOVED FROM CHRYSLER SEBRING 2.4 2007 YEAR. ONCE AN ITEM IS RECEIVED BACK IT WILL BE QUALITY TESTED ON OUR BENCHES AND CHECKED FOR A MATCH WITH THE ONE SOLD. Type of fuel: Diesel. Engine capacity: 2200. Chrysler PT Cruiser Einspritzleiste (Düsen). Year: 2008. Model: PT Cruiser. Fast shipping the same day if you pay by 2 pm All parts with functional warranty 30 days return policy on all parts without ifs and buts. 45146 Chrysler Sebring 2.7 V6 24V JR injection Strip bar. CHRYSLER SEBRING. 2.7 V6 24V. Model Sebring 2.7 V6 24V. Fuel Petrol. Modell Sebring 2.7 V6 24V. An original spare part is new or second-hand always 100% suitable for your vehicle. 53510 Chrysler PT Cruiser 2.2 CRD injection bar injection gland A6110780149. Part number A6110780149. 2.2 CRD facelift. Type 2.2 CRD. Typ 2.2 CRD. Chrysler PT Cruiser. Model PT Cruiser. Modell PT Cruiser. 41795 Chrysler PT Cruiser 2.0 PT_ injector injector 04891345AA 4 x. Chrysler PT Cruiser. Model PT Cruiser 2.0. Modell PT Cruiser 2.0. Marke Chrysler. By purchasing you accept these. Fahrzeug-Id 1C8FYNB961T575004. Chrysler Grand Voyager LX III (GS) 3.3 i 6 x injector injector nozzle 4612402. Part number 4612402. CHRYSLER GRAND VOYAGER. III LX (GS) 3.3 i. Model GRAND VOYAGER. Type LX III (GS) 3.3 i. Typ LX III (GS) 3.3i. Years, engine2005m., 110kw, 2800cc. The carChrysler Voyager. Transmission & Drivetrain. An item that has been previously used. Item will be sold as it is shown in the pictures. Part codes0445214041, 48226008078, 281002398. Years, engine2001m., 186kw, 3500cc. The carChrysler 300M. Transmission & Drivetrain. An item that has been previously used. Item will be sold as it is shown in the pictures. Part codes04591308. We are always willing to work out any problems. Years, engine1996m., 116kw, 3300cc. The carChrysler Voyager. Transmission & Drivetrain. An item that has been previously used. Item will be sold as it is shown in the pictures. Part codes4612176. We are always willing to work out any problems. 11921: 0280158028 5 Chrysler Pacifica Fuel injector rail (injectors)(Fuel distributor) 2006. 11921: 0280158028 5 Chrysler Pacifica Kuro magistrale 2006. 11921: 0280158028 5 Chrysler Pacifica Einspritzleiste (Düsen) 2006. Chrysler Voyager IV 2.5 CRD RG, RS injection injector bar 0445214023. Part number 0445214023. Model IV Voyager 2.5 CRD. Modell Voyager IV 2.5 CRD. Type RG, RS. Marke Chrysler. All parts of the donor vehicle at a glance. Part number, 04591756AB. CHRYSLER SEBRING. 2.7 V6 24V. Model Sebring 2.7 V6 24V. Modell Sebring 2.7 V6 24V. Marke Chrysler. Kraftstoff Benzin. Baujahr 19.02.2003. The carChrysler Town & Country IV. Transmission & Drivetrain. An item that has been previously used. Item will be sold as it is shown in the pictures. Part codes04861498AC. We are always willing to work out any problems. Model IV Voyager 2.5 CRD. 2.5 TD RG RS. Modell Voyager IV 2.5 CRD. CHRYSLER VOYAGER IV. Type RG, RS. All body parts are generally sold as original parts for painting. Spare parts always generally have to wear, therefore, is referred to this as needed! Model - PT CRUISER (PT_). Year - 2001. This is a quality tested, used spare part! Parts are fully functional but you should expect normal wear corresponding to the year and milage of the car the part has been removed from. 12154: 0280155782 3 Chrysler Neon Fuel injector rail (injectors)(Fuel distributor) 2000. 12154: 0280155782 3 Chrysler Neon Kuro magistrale 2000. 12154: 0280155782 3 Chrysler Neon Einspritzleiste (Düsen) 2000. 12343: 0280155703 Chrysler Voyager Fuel injector rail (injectors)(Fuel distributor) 2002. 12343: 0280155703 Chrysler Voyager Kuro magistrale 2002. 12343: 0280155703 Chrysler Voyager Einspritzleiste (Düsen) 2002.